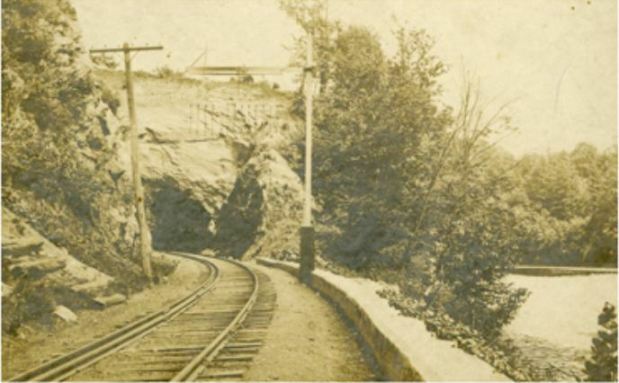 Connecticut’s early railroad history had at its core the goal of linking New York City and Boston through a hybrid system of steamboats and trains. This strategy allowed relatively fast schedules without the expense of constructing a rail route along the irregular Connecticut shoreline and avoided exposing steamboat passengers to the dangers of the Rhode Island coast. Using protected Stonington Harbor as its rail/water connection, the New York, Providence & Boston Railroad linked the two cities beginning in 1837.
Business leaders in nearby Norwich also saw an opportunity to share in the economic boom associated with railroads and organized a stock company to construct a railroad linking Long Island Sound with Boston via Norwich and Worcester. Construction at Norwich began November 18, 1835. Within a year, Massachusetts interests had secured approval for the necessary rail link from Worcester to Boston. 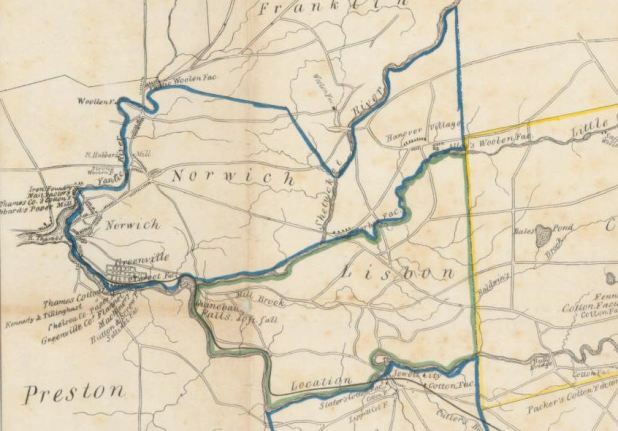 This combined effort, known as the Norwich & Worcester Railroad, threaded its way north through the Quinebaug Valley of eastern Connecticut to Worcester, then east to Boston. As with the competing line at Stonington, overnight steamers would carry passengers to and from New York via Long Island Sound. At Norwich, the head of Thames River navigation, the railroad built a massive wharf to facilitate transfer of passengers and freight. A later extension of the railroad a few miles downriver to Allyn’s Point provided an alternate terminal in the event of wintertime ice problems at Norwich. When the Norwich & Worcester line opened for travel in 1840 it boasted one of the first railroad tunnels in the country. Its creation involved skillful engineering, copious amounts of blasting powder, and strong backs. Within a decade, the line began constructing its own locomotives and cars in a large shop in Norwich. The company also owned a succession of fine passenger steamers like the City of Worcester and City of Lowell. The New Haven Railroad inherited a substantial operation when it took control of the Norwich & Worcester in 1898. Today the line, long since extended to Groton, is part of the Providence & Worcester Railroad’s regional freight system. 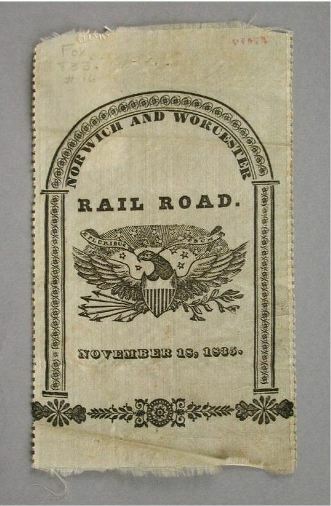 “Digital Collection - Norwich and Worcester Railroad Company.” Connecticut History Online, 2013. Link. Kirkwood, James Pugh. “Map Exhibiting the Route of the Norwich & Worcester Rail-Road Surveyed by James P. Kirkwood, James Laurie (Civil Engineers), William Lester, Jr., Homer T. Bostwick ...” Boston, MA: T. Moore, 1835. Connecticut Historical Society. Link. “Railroad History Archive.” Railroad History Archive, Archives & Special Collections, Dodd Research Center, University of Connecticut, 2012. Link. Taylor, William Leonhard. A Productive Monopoly; the Effect of Railroad Control on New England Coastal Steamship Lines, 1870-1916. Providence, RI: Brown Univiversity Press, 1970. Turner, Gregg M., Melancthon W. Jacobus, and Oliver Ormerod Jensen. Connecticut Railroads: An Illustrated History. Hartford, CT: Connecticut Historical Society, 1986.